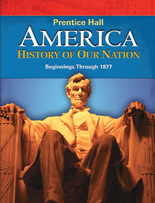 America: History of Our Nation is the key to unlocking the exciting story of our nation’s history for all middle grades students. Engaging narrative, digital multimedia, and hands-on activities expand students’ understanding of U.S. history and why it remains important to us today. 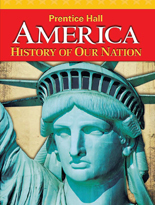 The new America: History of Our Nation offers a highly visual, engaging current events update providing a snapshot of significant events, such as the 2012 national elections and events in the Middle East that have the potential to shape the national and international landscapes. Help students develop a deeper understanding of the content by making personal connections to history. Essential Questions introduce new concepts, topics, and ideas, and challenge students to gain a greater understanding of how enduring American history issues are relevant and still affect them today. Found at the beginning of each chapter, Essential Questions continuously reinforces the content while connecting what students are learning to their lives and the larger world around them. 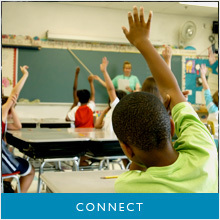 PresentationeEXPRESS™ Premium offers a wide array of options to help students connect to the content: audio, video, and interactive resources can preview topics and give teachers options to delve deeper into key topics or issues. Students have options at each stage of instruction to read about new concepts and content, engage in hands-on activities, and explore history through dynamic, interactive technology that bring the people, sights, and sounds of American history to life. 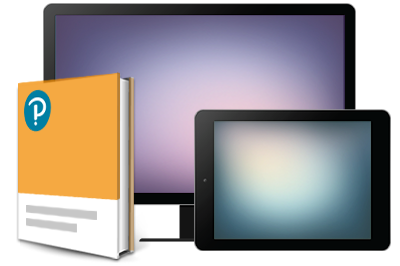 The core components – Student Edition, the Interactive Reading and Notetaking Study Guide, hands-on activities, and the digital course – are tied together through Understanding by Design® based Essential Questions so that they can be used in any combination depending on teacher preference. The Historian Apprentice Learning System extends the exploration of the Essential Question beyond the textbook. Using the Apprentice Pack hands-on materials, online interactivities, and Web Quests, students can interact with Essential Questions while developing 21st Century skills. Explore Essential Questions in United States History. 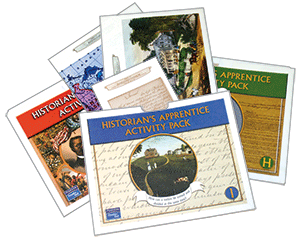 The Historian’s Apprentice Learning System Activity Pack encourages students to use authentic primary sources to answer intriguing historical questions. By evaluating historical clues – documents letters illustrations political cartoons and more – students investigate both the pivotal and personal moments of the past. America: History of Our Nation provides many opportunities for students to demonstrate what they've learned so you can assess for success! • The interactive Reading and Notetaking Study Guide allows for differentiated instruction and assessment success by offering study guides for students in on-level, adapted, and Spanish versions. Success Tracker is an online, formative assessment and remediation management system correlated to state standards. It helps teachers provide personalized remediation for each student and provides you with powerful, disaggregated data analysis of student performance. 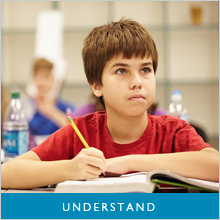 UNDERSTANDING BY DESIGN® and UbD™ are trademarks of ASCD, and are used under license.